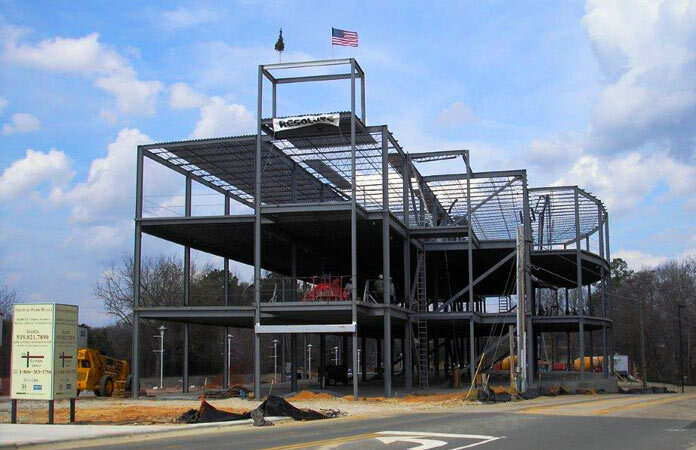 Structural Steel of Carolina, LLC provides structural and miscellaneous steel requirements for the commercial, retail, institutional and industrial markets working with some of the construction industry’s best general contractors. SSC offers complete project management for material procurement, engineering connection design, detail drawing preparation, fit up and welding, surface preparation, and shipment of structural and miscellaneous steel. 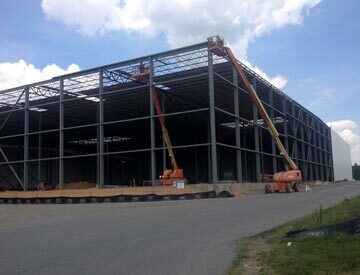 Structural Steel of Carolina has become one of the most experienced steel fabricators in the Southeastern United States for managing renovation projects requiring structural steel. We are proficient in pre-planning, field measuring, fabricating, shipping and erecting in small sequences to expedite the overall project. 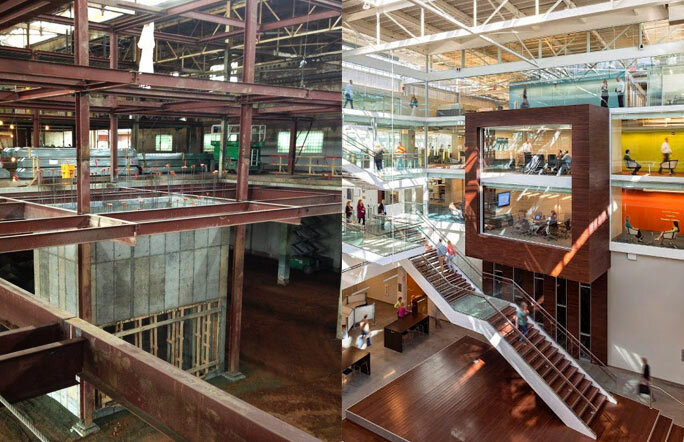 SSC has most recently participated in the renovation of the Quad Residence Halls for the University of North Carolina at Greensboro and over 200,000 square feet of former RJ Reynolds manufacturing buildings in Winston-Salem, NC. 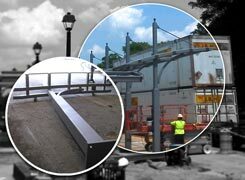 Structural Steel of Carolina’s employees are craftsmen capable of fabricating practically anything made of steel. 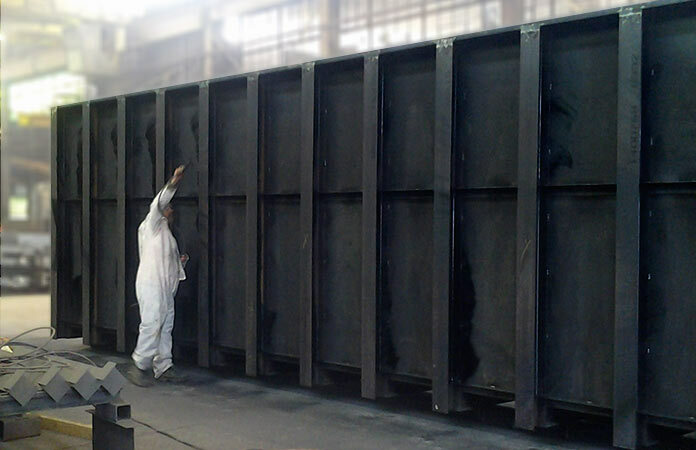 Heavy ductwork made of plate, special plate girders for industrial projects, tanks for the galvanizing industry, special sign supports for several stadiums and arenas, ornamental canopy supports for bus and train depots, gates and special containers for NASA are only a few examples of products our shops have manufactured. We are always ready for a challenge. 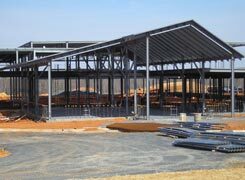 Quality workmanship and personal service are why Structural Steel has been chosen by developers, construction managers, and engineers for fabrication needs. 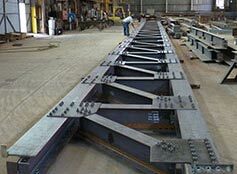 We use our practical experience to offer our customers valuable engineering suggestions for fabrication projects of every size. 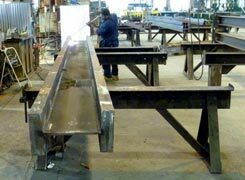 Our experienced staff can help you with any fabrication challenge. We look forward to exceeding your expectations. We welcome walk-in orders and small projects of any size. Our expert staff can provide guidance and build your project to your specifications. 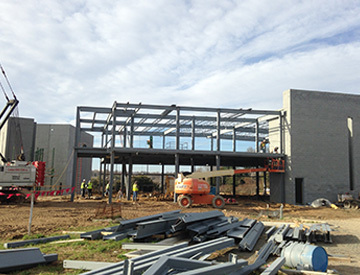 Structural Steel of Carolina, LLC is an AISC Certified Fabricator, locally owned and operated in Central and Western North Carolina. All of our owners work full-time for our company and have personal knowledge of each project we fabricate. We are also proud to be a HUB Certified Woman-Owned Business Enterprise (WBE). 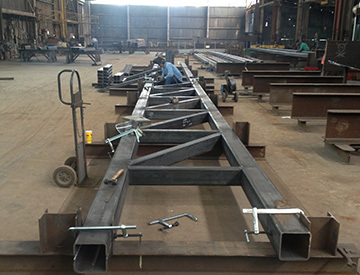 When you work with Structural Steel of Carolina, LLC, you can rest assured your project will never be held up by fabrication errors or delayed shipments. 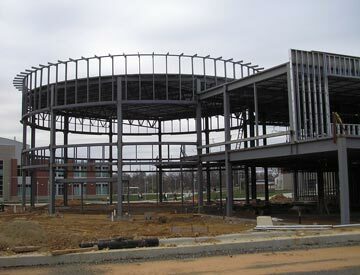 By getting it right the first time, on time, Structural Steel of Carolina, LLC will save you time and money. Because we know - in this business especially - time IS money.